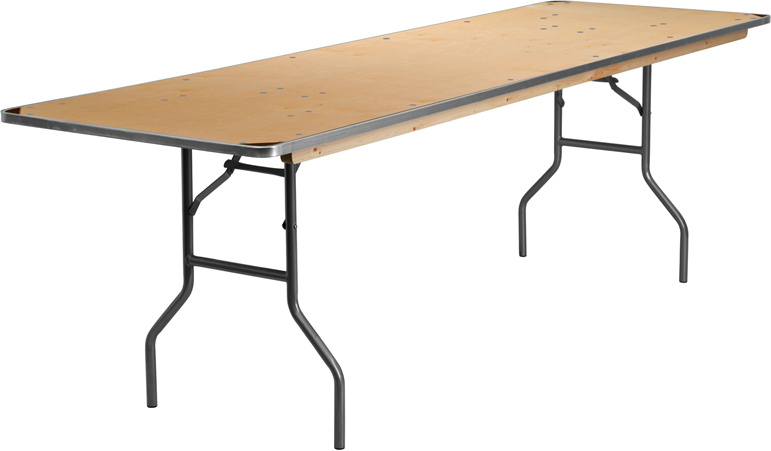 This 30 x 96" folding plywood table features an aluminum edge trim. The edge will protect your table for years to come. Designed for the most heavy duty applications, from rental to event facility. It features silver powder coated legs with floor protective foot caps.